Who doesn’t love a delicious juicy burger topped with all their favorite toppings? We love to make Morningstar grillers meatless burgers on the grill! 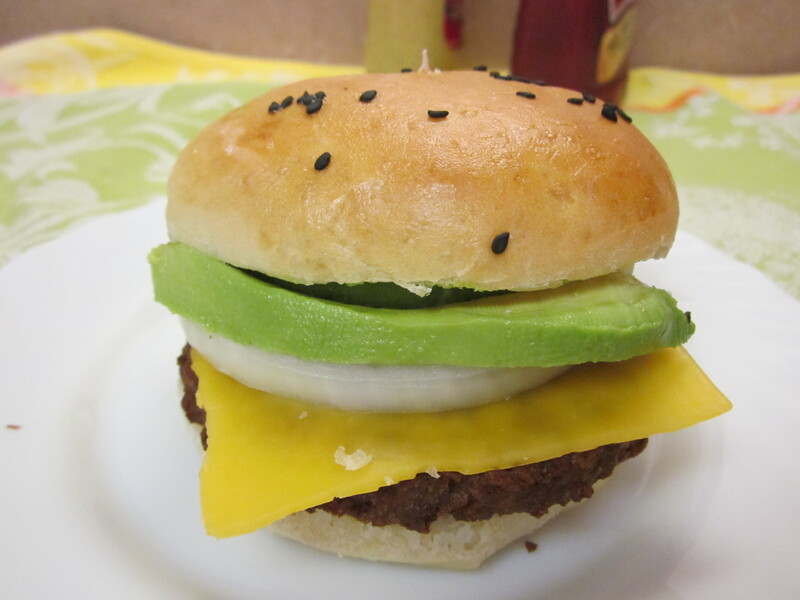 http://www.morningstarfarms.com/msfhome.html My burger has a slice of California Avocado, http://www.avocado.org/ Sweet Onion and cheddar cheese. (I buy cheese that has no hormones or animal rennet) Of course I could make my own burger, but these are so delicious. My burger is on a homemade bread roll made by my husband who loves to bake bread. The bread roll is 1/2 whole wheat and 1/2 unbleached wheat flour. 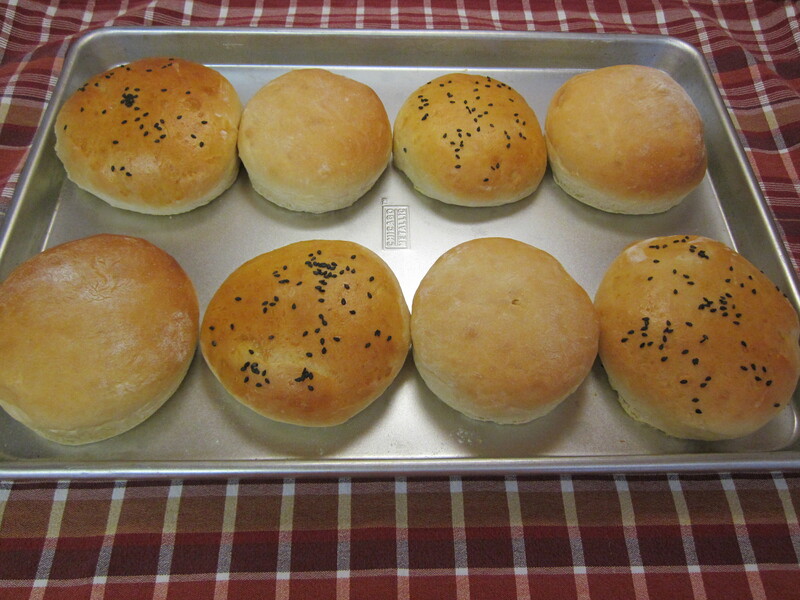 What a difference a home-made roll makes without all the preservatives. I love a good veggie burger! I used to love those morningstar ones when I was a vegetarian! Thanks for stopping by my blog. These burgers look great! Dude, can your husband teach my husband how to bake?!? Those look amazing!!! So cool! Even cooler that he bought a book! Perhaps when my hubby stops having 70 hour work weeks I’ll teach him as well! Gorgeous looking rolls there! Home baked bread is one of my favourite things to make, sweet, savoury and more! Love home made bread and rolls! Oooh those homemade rolls look so good. I love veggie burgers to start with, but you’re right–homemade makes SUCH a difference! There are so many dishes that can be made with morningstar. I also like using the burger crumbles for taco’s! Out of all the veggie burgers out there, Grillers are my favorite! I haven’t seen the Spicy Black Bean patties in a long time! Those look great. Homemade is always the best. Love home-made bread and rolls. Such lovely appetizing home-made buns! Yummm! They look smashing too! I make my own vegetarian real burgers! Someday I will get around to making my own veggie burgers! I’m also a vegetarian. We love the Morningstar products. How lucky for you that your husband makes homemade buns. That’s usually the part I like the least. I’m sure his would make them delicious. I don’t enjoy cooking, but I’m married to someone who does so it works out. He never gets tired of it, whereas I ‘m bored in a short amount of time. I do love to eat, though. But, you love to garden so that is a great pairing! He cooks and you garden! Reblogged this on Susan T's Kitchen.